By Valentina Podmazina, IO technologies.. Continuing our ‘Content Personalization topic’, I want to move from segmenting audiences to the technological side of the process. Personalization API. This allows us to collect information and deliver it to our servers for further analysis by data analytics tools. On the other hand, we can distribute already customized content to readers. Machine learning. This is when a machine decides on ideal materials for a certain audience segment instead of an editor. 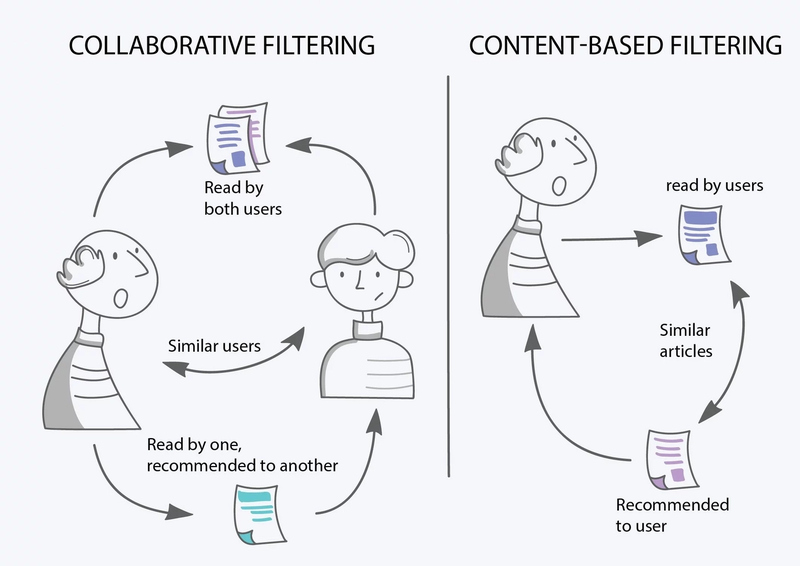 Collaborative filtering or so-called ‘social filtering’. This is a machine learning technique. 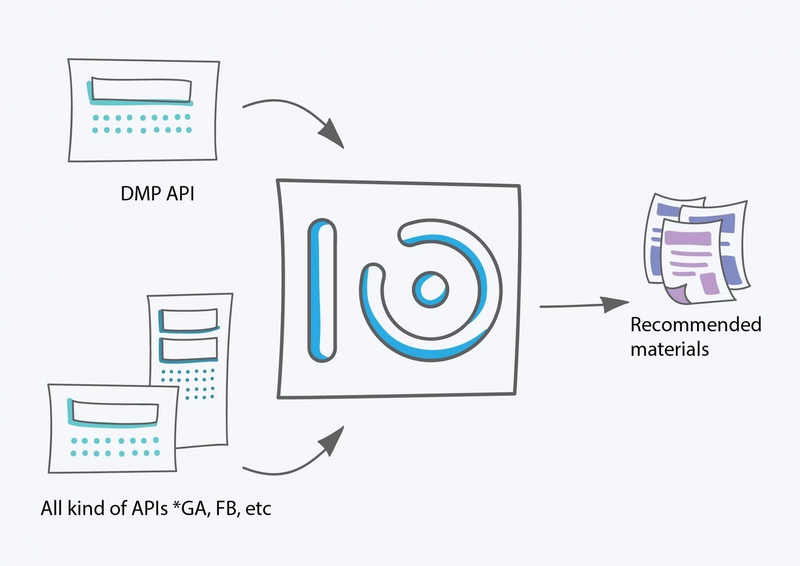 How do Personalization APIs work? We use data management platforms (DMP) to get initial information about media readers. It usually includes their demographic and geographical data. Second/third-party sources data, i.e. partner sites or other data providers. The sources may vary for different DMPs, but the central component is usually as described. DMPs also provide normalized and ready-to-use data. So, when we import data from DMPs to IO, it is already statistically correct. Also, we get imported information with APIs. This is data used for logging into a new website using your already existing profile. Our media analytics platform copies your personal information via API and moves it to another service. "Personalization API" is an interface that affects customizing and personalizing content for each visitor. More detailed data is gathered on constant readers and loyal visitors and are offered suitable and relevant materials only. At first glance, this reminds us of AI, when a machine decides how to manage a task based on statistical data. In fact, this concept is part of the AI phenomenon and makes it possible to develop machine intelligence and improve the decision-making process. According to NVidia, "Machine Learning at its most basic is the practice of using algorithms to parse data, learn from it, and then make a determination or prediction about something in the world". In a nutshell, a machine analyzes and recommends information without human participation. This work can be done manually but takes a plenty of time and effort. Thanks to huge computing power, modern machines perform data mining, data analytics and predictive modeling more effectively than people do. The next section will be dedicated to a recommender technique based on the machine learning approach. This kind of content personalization backend process can also be named ‘social filtering’. It uses the recommendations of other people to make suggestions to readers. It is based on the belief that everyone will pay attention to something suggested by people with common interests. Item Based: a machine finds similarities between lists of articles. User Based: a machine looks for similarities between both users’ histories and article similarity. Reputable sites use this technique to personalize web recommendations, for instance, IMDB, Netflix, Amazon, iTunes, StumpleUpon, etc. These systems predict users’ behavior, not just based on their personal browsing history. They also take into consideration the preferences of several other users based on their interests. Let’s look at how collaborative filtering works in real life. Amazon can recommend you buy the third book in addition to two you’ve already bought, as people with the same interests bought it. As you see, they do not just segment audiences and know what group you belong to, they monitor your personal interests and compare them with others’ preferences. Sometimes, it’s handy, as you are offered relevant and useful items. 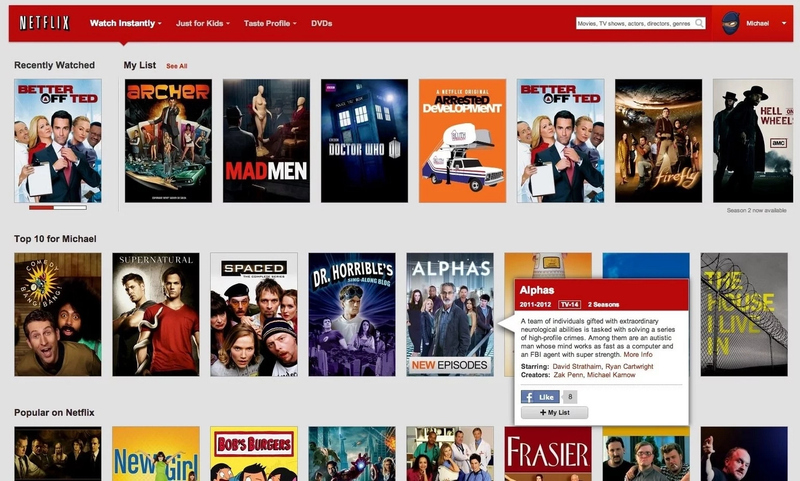 Netflix uses social filtering and analyzes visitor watch-lists to offer suggestions to new viewers. 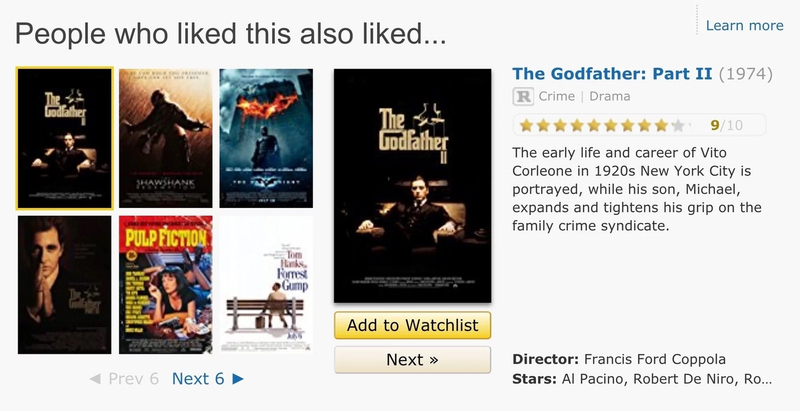 When it comes to choosing a movie for an evening, there’s no better resource than IMDB. Just tell it what you are interested in, and the system will suggest suitable suggestions. It keeps into account not just your personal choice and other people’s interests, but many other variables, including actors, directors and genres. Speaking of media, we can notice the same tendency. They check what their readers like and suggest similar articles to new readers with the same interests. Find more details about analyzing users’ behavior by The Financial Times, The Times, MittMedia, and MediaHuis. With modern technology, we can reach greater goals by making less effort. A machine decides what a reader will see on the main page based on mere analysis, not intuition. You may wonder how to analyze the effectiveness of content personalization. This is the point where human knowledge and skills are necessary.